Columbia College recently was recognized as a financially sound institution by Forbes, based on a study that evaluated more than 900 four-year, private, nonprofit institutions across the country. The list analyzed the college’s 2010 and 2011 fiscal data, which was provided by the U.S. Department of Education. 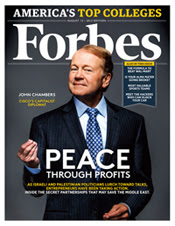 Read the Forbes article here.